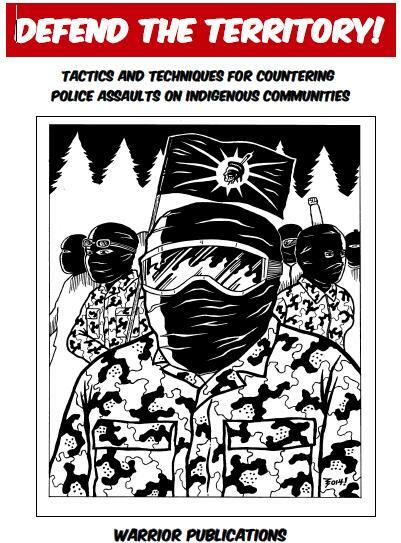 Posted on April 16, 2014, in Defending Territory, Documents, Warrior and tagged blockade tactics, blockades, chemical agents, Defend the Territory, Indigenous resistance, less lethal weapons, native blockades, native resistance, pepper spray, police armoured vehicles, police crowd control tactics, taser, tear gas. Bookmark the permalink. 14 Comments. Please check out a 24 page, 8×11, PDF document. Reblogged this on Deep Green Resistance New York. I am very pleased to see that the phoney police led anti uranium protests at sharbot lake, ON, Algonquin territory 2007 are NOT included in the report. Reblogged this on In Other Words . More work of the Rainbow Warriors. Indigenous Peoples Day Arizona supports all land and water protectors. It is also important that we go into any situation prepared. If you would like to know how to be a prepared protector read this document.